First up are reminders. The widget already shows calendar meetings and appointments, but the other type of time-sensitive obligation, i.e. reminders, isn't displayed there. So if you have an upcoming one, or one that was due a short while ago, you wouldn't see it in the widget. Soon though, you'll be able to. 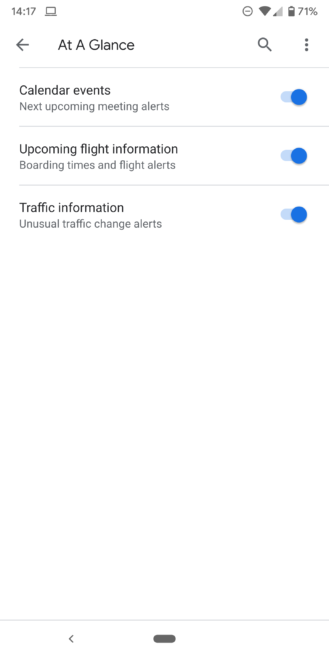 The toggle to enable reminders is live in At A Glance's settings, but it doesn't seem to be in working order just yet. No matter what we try, we can't make any reminder show there. 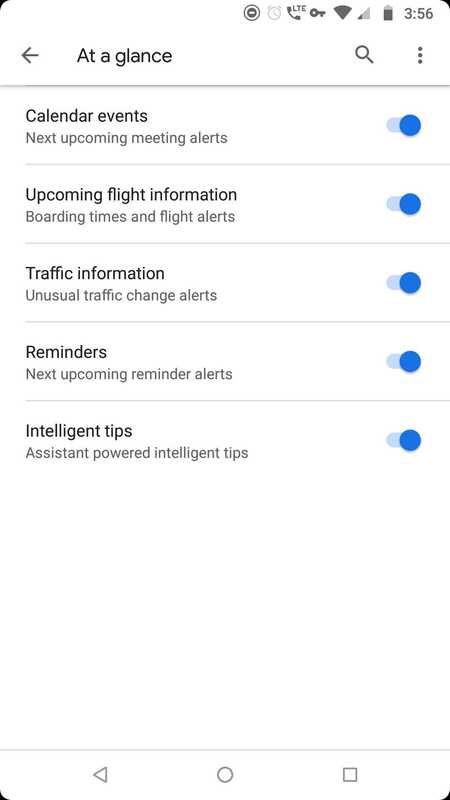 Also new is a toggle for "Intelligent tips" powered by the Assistant, which isn't functional yet either. All we know about it is what you see in the screenshot, which is to say, not much. These could be simple "tips" telling you how to use your phone, turn on DND at work, or set app timers in Digital Wellbeing, for example. Or they could be the new way to see Assistant's contextual cards, which were inherited from Google Now. 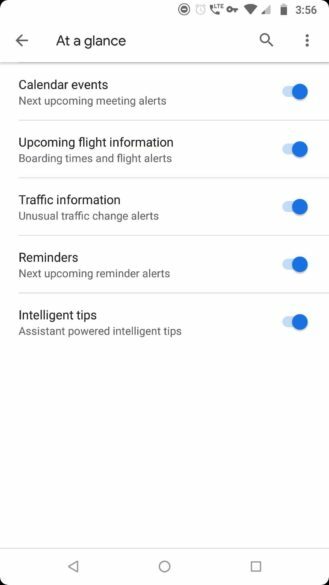 We'll keep an eye on these toggles and let you know if they start showing any new and relevant information in the At A Glance widget.